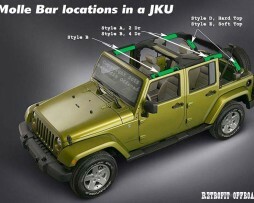 The table and pictures below give some typical applications for different Jeep models. 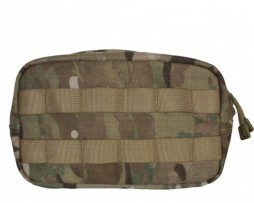 An Excellent Pouch to carry on our Molle bar sleeves. 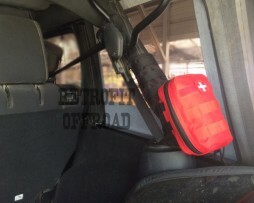 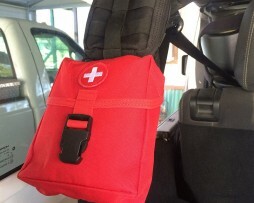 Everyone needs a first aid kit to carry in your Jeep! 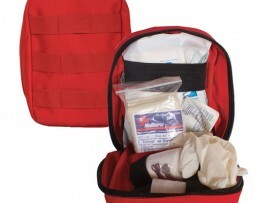 Also see our Large Modular 1st aid kit for more contents. 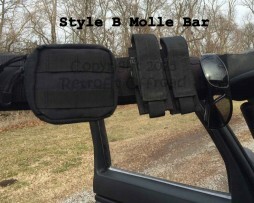 Free Shipping when ordered with our Molle Bar Sleeves! 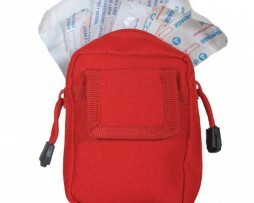 Can be used 4 ways; as a waist pack, go-to bag, as an attachment to a modular pack or as a shoulder bag. 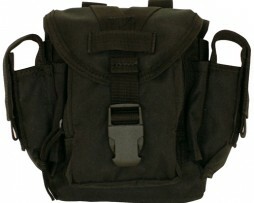 Holds mags, speedloaders, monoculars, flashlight, etc. 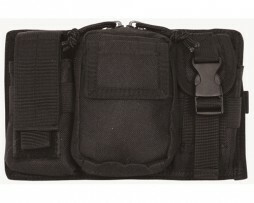 A multi-use pouch available for a variety of tactical applications. 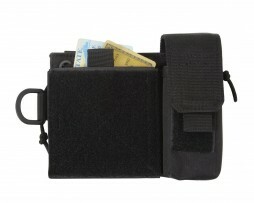 Works great with our MOLLE Bar Sleeves! 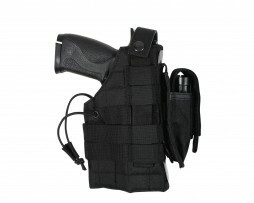 Rothco MOLLE Modular Ambidextrous Holster features a modular design for left or right hand use. 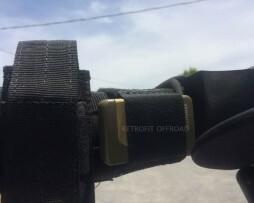 The holster also features an elastic cord for securing weapon, 1 single mag pouch for ammunition, 2 removable molle straps, and fits large frame semi-automatic pistols. 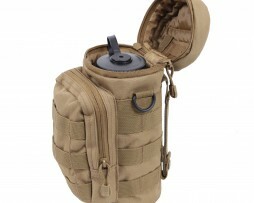 Rothco’s Water Bottle Survival Kit is perfect for the Jeeper, outdoor enthusiast or beginner prepper. 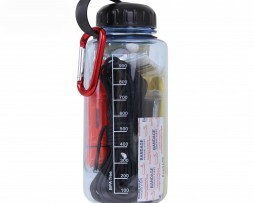 This “bottled” survival kit features all the essential equipment including a BPA free water bottle, whistle, flint, emergency mirror, LED light, emergency poncho, multi-tool, sewing kit, paracord, adhesive bandages and compression towel. 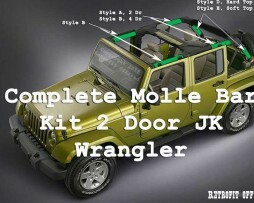 Also Check out our MOLLE Bottle Carrier that works great with our Jeep Wrangler MOLLE bar Sleeves! 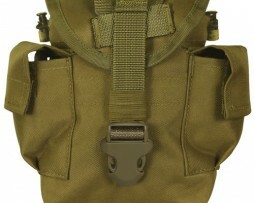 Rothco’s Lightweight MOLLE Bottle Carrier weighs only 3 ounces and will hold most size bottles. 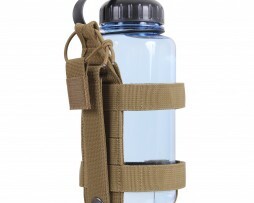 Two hook and loop webbing straps secure the bottle in place while the MOLLE compatibility keeps the bottle carrier attached to your MOLLE Bar Sleeves or pack. 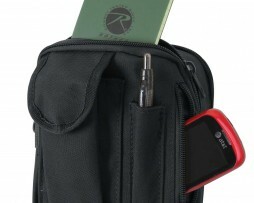 Features an elastic cord for additional support. 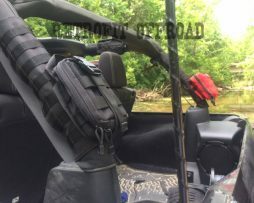 The lightweight features and sleek design make this hydration carrier ideal for your Jeep Wrangler, the outdoors, or airsoft games. This MOLLE Bottle Carrier is an excellent way to store our Water Bottle survival kit on the MOLLE Bar Sleeves in your Jeep Wrangler YJ, TJ, JK, or JKU! 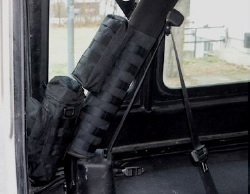 The Tri-Fold Shovel MultiCam MOLLE Cover is a great way to attach your Tri-Fold Shovel to our MOLLE Bar Roll Bar Sleeves. 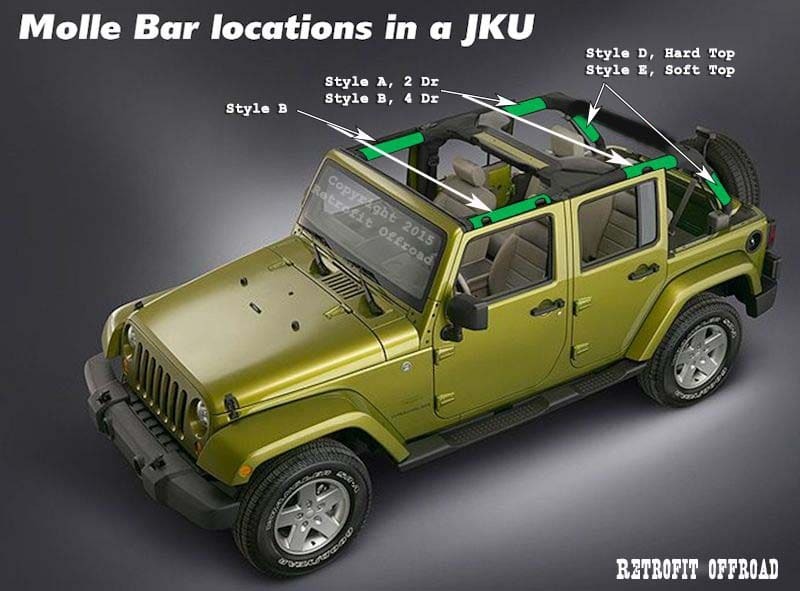 Great way to keep a shovel in your Jeep and out of the way! 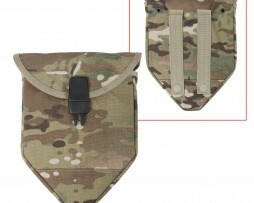 Rothco MultiCam MOLLE Compatible Shovel Cover Features 2 Molle Straps For Ease Of Attachment With A Secure Buckle Closure And Will Fit Our Tri-Fold Shovel. 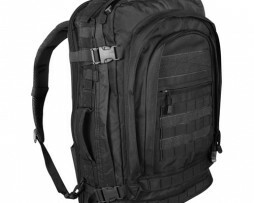 The Cover Is Made From 1000D Cordura Nylon Multicam ® Fabric ,Multicam Fabric Is Licensed Through Crye Industries. 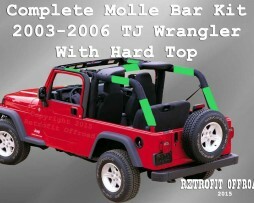 Our Heavy Duty Tri-Fold Shovel is perfect when exploring trails in your Jeep Wrangler CJ, YJ, TJ, and JK. 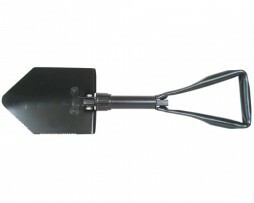 You never know when a shovel will come in handy on the trails or around the camp ground. 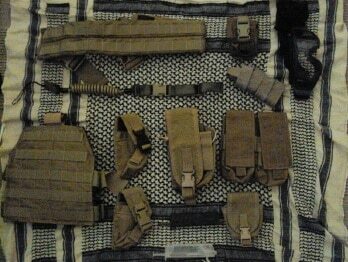 Tri-Fold Shovel folds up compact and works perfectly with our MultiCam MOLLE shovel cover. 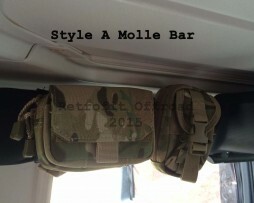 The MOLLE Shovel cover conveniently can be attached to our MOLLE Bar Roll Bars Sleeves or hiking pack. 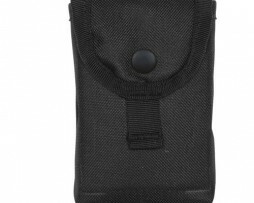 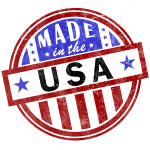 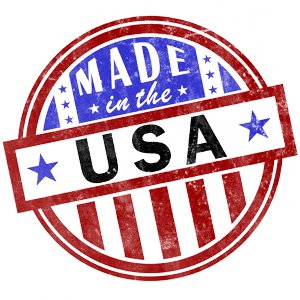 Rothco’s MOLLE Administrative Pouch – Molle Compatible , Single Pouch With Flap Cover , Square Of Loop Fastener On Front To Affix Rank / Id , Grommet Hole At Back And Bottom Of Pouch. 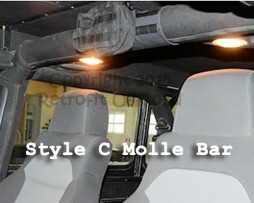 The MOLLE Compatible Excursion Organizer is perfect to use with our MOLLE Bar Roll Bar Sleeves in your Jeep Wrangler. Keep all your loose small items organized inside your Jeep! 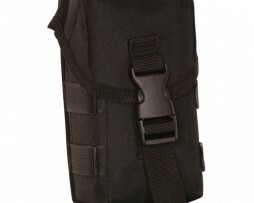 Molle Compatible Excursion Organizer available In Black 6 1/2″ X 6″X 3″ , Adjustable Shoulder Strap – Length 56″ Tip To Tip , 2 Main Zipper Compartments , 1 Interior Zipper Pocket , 1 Exterior Zipper Pocket , Exterior Pouch With Hook And Loop Closure , Exterior Pen Holder , With Molle Straps On Back , 600 Denier Polyester. 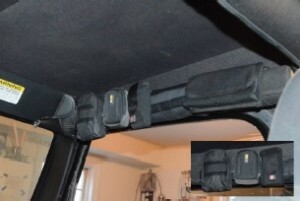 The GENERAL PURPOSE (GP) UTILITY POUCH works great with our Jeep Wrangler MOLLE Bar Roll Bar Sleeves. 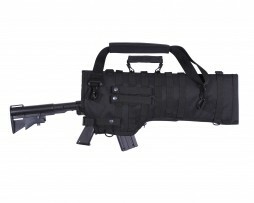 MOLLE Tactical Rifle Scabbard Is Designed To Fit Most Rifles With A 10.5″ Overall Top Opening And 29″ Overall Full Length, The Scabbard Will Fold To Adjust For Various Barrel Lengths. 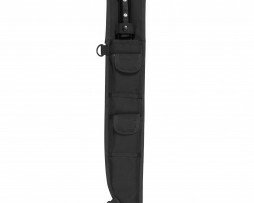 The Scabbard Has Been Designed For Optimal Function With Adjustable Quick Release Web Strap, Removable Snap Carry Handle, Detachable/Adjustable Shoulder Strap With Removable Pad And A Removable Quick Release Retention Strap. 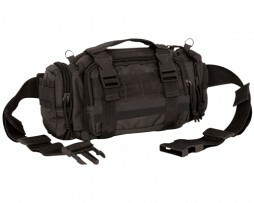 In Addition, The Case Features MOLLE Loops On The Front And Back, 3 MOLLE Straps, 4 D-Rings and Drainage Hole. 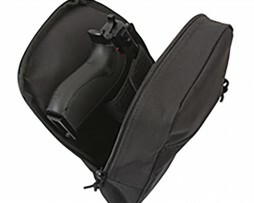 Rothco Has Also Added An Extended Zipper To Accommodate A Grip With 2 Snap Closures For Added Security And The Case Is Padded To Protect The Contents Of The Scabbard. 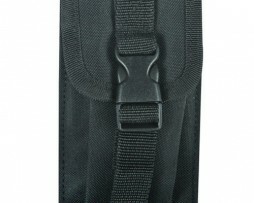 The MOLLE Compatible 18 Inch Machete Sheath features 2 pouches, 2 D-rings, and a heavyweight reinforced sleeve; the ultimate tactical machete sheath. 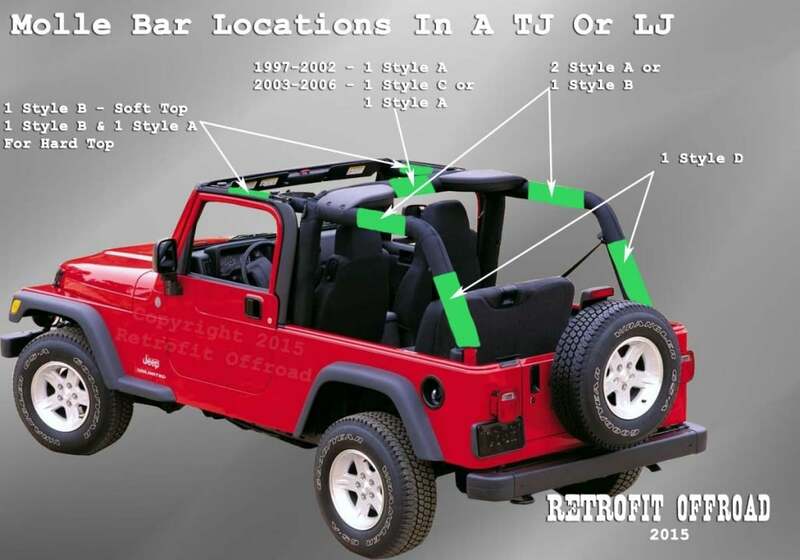 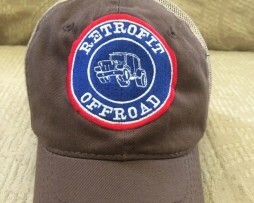 Great place to keep your machete for clearing those overgrown Jeep offroad trails or for blazing a new trail! 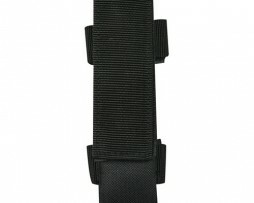 The MOLLE Compatible Knife / Flashlight Sheath fits standard duty belts and is MOLLE compatible. 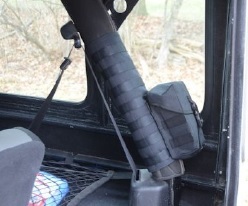 The knife and Flashlight Sheath works great on our Jeep Wrangler MOLLE Bar Roll Bar Sleeves. 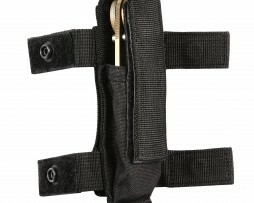 The adjustable height allows the sheath to fit a variety of knives & flashlights, up to 7″.